Who will be Scotland’s next manager? 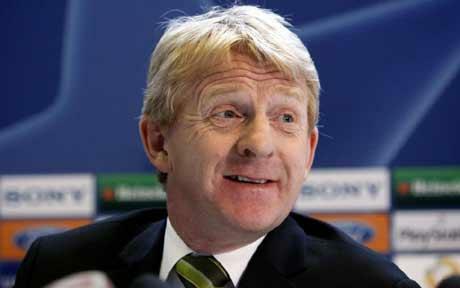 Scotland are looking for a new manager after Craig Levein was sacked after just 24 games in charge. To some fans though 24 was too many and I am sure a lot would have been happier if he had been replaced sooner. He actually won 10 of his games in charge so he doesn’t actually have such a bad record, however, everyone knows that winning percentages in international football don’t really matter because there are a lot of teams around the world that simply are just not good enough and teams like Scotland, who have a full team of professionals, should be able to brush them aside. It is very unlikely they will qualify from their group now, with only two points from their four games so the SFA have obviously acted now so the new man has time to build a squad ready for the next qualifying campaign. They were beaten by both Belgium and Wales in the last two games and even though these results won’t have helped, personally I believe it was the 1-1 draw against Macedonia that really signalled the end for Levein. I don’t know why he was given the extra two games but he was and now their campaign is over, so who should take charge. The favourite for the job is currently Gordon Strachan, and this would be an interesting choice as he has not had a job since leaving Middlesbrough in 2010. He was very hit and miss at the North East club and a lot of their fans weren’t happy with the type of football he wanted the team to play. But, throughout the rest of his career, he has been largely successful, especially at Celtic, where he won 122 of his 182 games. As a player he won a lot of trophies and played 50 times for Scotland so he would hopefully bring a winning mentality back to the squad. 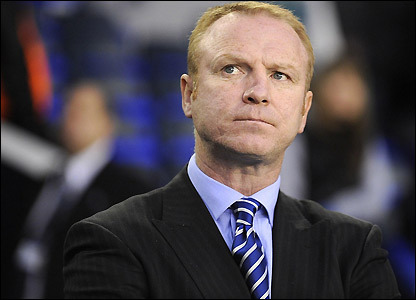 Alex McLeish may be tempted to come back and finish off a job that he did superbly in the first time round? If they could get him back then I certainly think they should give him the job because he has a fantastic record internationally, winning seven of his 10 games in charge. It may not have gone too well for him at Aston Villa but maybe he wasn’t given a fair chance by the fans and at least with Scotland he will get the backing from the crowd. 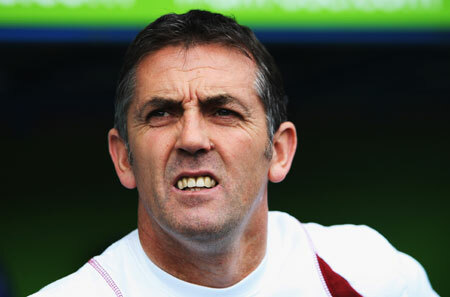 Finally, recently sacked Owen Coyle is a name that has been mentioned and this would be remarkable. Coyle, spent most of his playing career in Scotland and managed Falkirk and St Johnstone, however, he decided to play internationally for Republic of Ireland, so would this go down well with the Scotland fans? But, he does have a good record for the most part and although his time at Bolton Wanderers ended miserably he did still take them to an FA Cup semi final. In all honesty I can’t see Coyle getting the job but if given the chance he could do a good job. Other names linked with the job are Joe Jordan, Walter Smith, Ally McCoist and Billy Davies. So who would you like to see in charge? 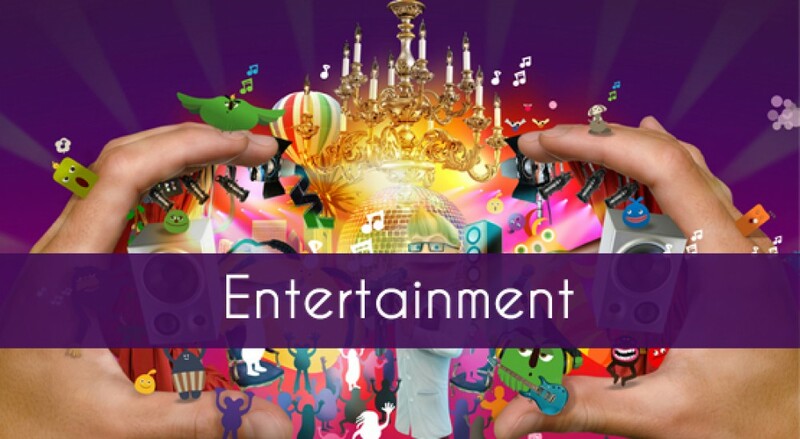 Which Carling Cup Quarter Final game looks the most exciting? The fourth round of the Carling Cup produced some of the most exciting games in the whole season so far. With Arsenal coming from 4-0 down to eventually beat Reading 7-5 in extra time and Chelsea scoring five goals against Manchester United to defeat them 5-4, it will certainly tough to find more exciting games this season and I doubt all of their defences will be as bad as this again. The team I feel most sorry for though are Bradford City because they knocked out a Premier League side in Wigan Athletic on penalties and on a normal week, this would have been the main headline surely. Also, a special mention to both Leeds United and Middlesbrough for knocking out Premier League opposition too. Swansea City and Norwich City also won games which many people didn’t expect and I am sure the fans of Tottenham Hotspur and Liverpool would have expected to be in the draw for the next round. So, onto the next round and I think it is difficult to choose which games will be the most exciting, but I am going to look at them all and see what I think. Leeds United against Chelsea will be very interesting as this could be the shock of the round in my opinion, because Chelsea may be more focused on their World Club Championship participation and may not take this game as seriously as they should. Leeds are a good side and under Neil Warnock they will give anyone a game, just ask Everton and Southampton. Swansea against Middlesbrough is yet another tough one to call. The North East team have a lot of momentum at the moment and if they can keep that going, I believe they have enough quality to beat the Welsh side. But, Swansea could be the dark horses for the competition in my opinion, they have a decent record at home and if they play to their potential, then Boro may not get a kick all game. Paul Lambert will be up against his former club Norwich City yet again and he will be hoping that his Aston Villa side can produce the goods on the night and qualify for the semi finals. But, Norwich are just starting to pick up under Chris Hughton and some very good wins at home in recent weeks have been much needed and also very impressive. Finally, League 2 Bradford have been drawn against Arsenal at home and I don’t think they could have got a better draw as being at home gives them a little more of a chance of sneaking a result. Although this is very unlikely, they will surely get a big crowd it will just remind the football world once more that Bradford are quite a big club and it wasn’t that long ago they were playing in the Premier League. It is a lose-lose situation for Arsene Wenger’s side because they are expected to win but if they don’t put four or five past them then they may get slated. Which game are you most looking forward to? Who will provide the biggest shock? At this stage who do you see winning the trophy? Who will be Crawley Town’s next manager? Crawley Town are looking for a new manager after recently appointed Sean O’Driscoll decided to leave for Nottingham Forest. O’Driscoll was given the job on the 16th May and left on 19th July without managing them in a competitive fixture which must have been frustrating for the board who had put a lot of faith in their new man and now their preseason could be in pieces. The new man that comes in won’t have a lot of time to stamp his authority on the side and maybe he won’t want some of the players that O’Driscoll thought were good enough. 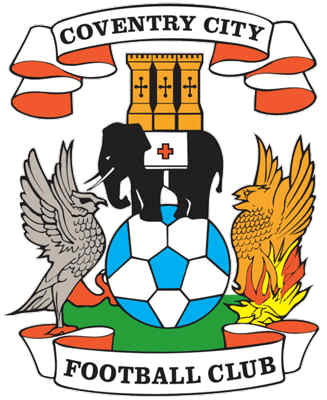 There will be a number of candidates that want the job but the newly promoted League 1 club will need to make a good choice to make sure they stay in the division, under O’Driscoll I thought they would challenge for the playoffs but now I am not so sure. So who will be a good choice? At the minute the clear favourite is current Aldershot Town manager Dean Holdsworth. Holdsworth has been working his way up the leagues and has one very well wherever he has been but he doesn’t have the managerial experience in my opinion to lead Crawley next season because he hasn’t worked higher than League 2 and has only joined the Football League in January 2011. Another thing that will put Crawley off going for him is the fact that he signed a new contract in the summer and they will probably have to pay compensation. Also in the frame for the job is former Aldershot manager Gary Waddock who unlike Holdsworth has managed in higher divisions, however he hasn’t always been so successful. In June 2006 he was appointed manager of QPR but after a poor start to the season and with the club bottom of the table he was replaced by John Gregory. Waddock, has managed in League 1 for two seasons but unfortunately for him they have both ended in relegation with Wycombe Wanderers. Obviously, this means he has gained a promotion with them and he has been relatively successful over the years with him also gaining promotion to League 2 with Aldershot gaining over 100 points. Finally, Gareth Southgate is linked with the job and this would be an interesting decision because he had a very good career as a player but as a manager he hasn’t had it easy. His only job so far has been at Middlesbrough where he managed 150 games so he has quite a lot of experience and most of these games were in the Premier League. He won 44 of his games as manager but he, like Waddock also has a relegation on his CV but at a much higher level. 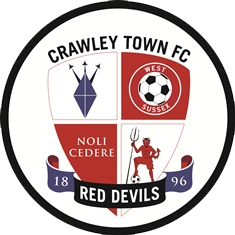 It is good timing for Crawley as he has recently left his role in the FA as their Head of Elite Development and you would expect him to want to get back into football as soon as possible. He would be a good choice because he will have a lot of contacts in the game and will be able to bring in some good players either on loan or permanently and the board will surely back him in the transfer market. Is this the end for Matthew Bates? Matthew Bates may be the unluckiest player in football at the minute as he has suffered a cruciate ligament injury for the fifth time in his career. The injury will keep the promising centre back on the sidelines for yet another six months and it will be very difficult for the player to keep up his own moral and spirits as he may not come back the player he has been this season. The 25 year old has been at Middlesbrough his whole career so far but was linked with moves away last summer and Swansea in particular were very keen on giving him a chance in the Premier League. 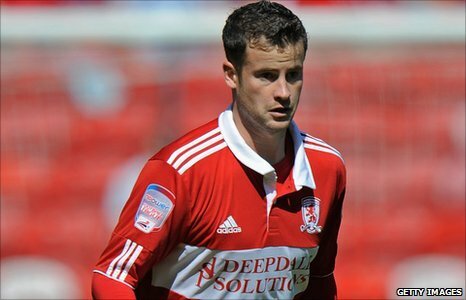 He had hoped that his form would propel Boro up the league table and challenge for promotion this season and play for his boyhood club again in the Premier League against the big teams like Manchester United and Arsenal. He actually made his debut in the 2004-05 season and has only played 120 games for the club which is remarkable and shows just how much his injuries have slowed down his career. This season, it looked as though he had got over all of his problems as he had played more than ever before in a single season and was named new captain by manager Tony Mowbray who must have seen similarities in the way Bates plays and the way he was when he was a player for Boro. Even more worrying for the player is that his contract is up at the end of the season and his latest setback will keep him out until October so no other team will want to take a chance on him. He will have to hope that Boro will give him another opportunity to get fit or there is a chance that he may never get a chance in the professional game again. Personally I hope he does because he has proven this season that he is at least good enough for the Championship and was looking very consistent as Boro pushed for a place in the playoff spots. Not only is it a bad thing for the player personally but for the club as well because they don’t have the biggest of squads anyway and would have needed all their players to be fit from now until the end of the season. They have recalled Stephen McManus from his loan spell at Bristol City but this will not fill the fans with confidence because he came with quite a good reputation from his time in Scotland but has not really delivered. However, if he does step up and has a good end to the season he could easily become a fans favourite and may be first choice at the start of next season which will then lead to the question, do we need Matthew Bates? Injuries are a cruel part of the game and it has ruined many players’ careers but to have the same sort of major injury five times has got to be hard for anyone but at least he knows he can come back, let’s just hope it is to a good standard.